1. Tick each of those items below to move up or move down. 2. Tick each specific to enable screenshot recording. Untick each specific to disable screenshot recording. 3. Tick the check menu to enable auto capture screenshot on client computer. 4. Set the frequency to capture screenshots by second on client computer. 5. Set the minimum time interval (by second) for screen capturing of separate application. 6. 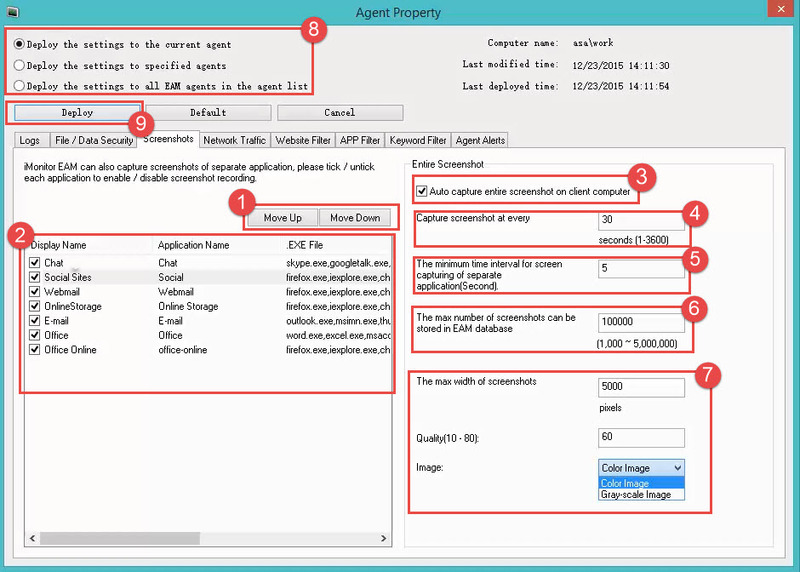 Set the maximum number of screenshots can be stored in EAM database. 7. Set the width, quality and color of screenshots.